Understanding quinoa nutrition is a valuable asset in helping you to see why it has become a staple in the gluten free diet. It is so all encompassing as a nutritional support system that is ideally considered a whole food. And it is so versatile that can beautifully complement almost every dish you may eat. This wonderful grain is high in vitamins and minerals such as riboflavin, calcium, iron, magnesium, vitamin E, folic acid, phosphorus, potassium and beta carotene. This super food has enriched the vegetarian and vegan lifestyles as well because it can provide a superior source of non animal protein. How much protein are you getting with a cup of uncooked quinoa? An amazing 24 grams!!! 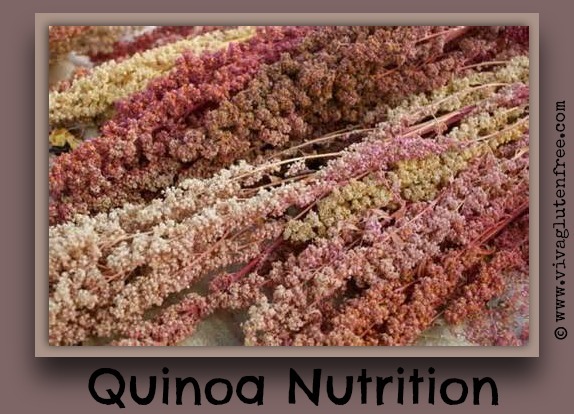 Quinoa protein is easily digestible making it an excellent replacement for animal protein. Feel good without the belly pains? Sign me up! Even beyond the protein facts, quinoa nutrition takes a turn for the better when you think about how good it is for the heart. Heart health is important as we get older and quinoa can help with that. Because it is rich in magnesium, it helps reduce high blood pressure by relaxing those, sometimes overworked, blood vessels. Not too shabby. Quinoa is great in reducing plaque buildup in the arteries. Talk about a natural, effective heart attack prevention method. Not too shabby either. To help you understand what you get in one cup, I will break this down. 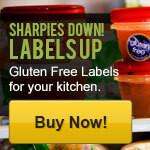 Another tidbit that makes this wonderful grain such a great choice in our diet is that it is an anti-inflammatory. This is important to note because when we are transitioning into a gluten free diet from a gluten filled one, our intestinal tracts are extremely sensitive. They have taken a beating and need a little tender loving care to heal again. Eating the right foods, such as quinoa, help with that healing process. Our intestinal walls will love us for it in the long run. Consuming this unique grain is an acquired taste for many, but considering the nutritional facts when trying quinoa for the first time will literally change the taste from OK to Delicious. 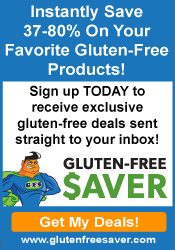 Want to know about quinoa flour?